One year after the onset of the Qatar-GCC rift, the situation shows signs of worsening rather than improving. So far, Qatar has managed to weather rift-induced economic and security repercussions despite numerous sanctions imposed by its regional hegemonic counterparts. After a year of blockades, trade sanctions, and the severing of diplomatic ties, the following questions arise: in what way has Qatar developed a model to successfully mitigate the damaging effects of the rift, and how sustainable will that model prove to be? Qatar is an example of a successful city state. It mirrors aspects of the Singaporean model in its export-centric economy, foreign investment, and state-led endeavors in government-maintained corporations. This export dependence is susceptible, however, to global economic shifts, which are currently tectonic. Qatar’s economic sustainability could continue to grow if it would utilize greater soft power to further its economy and influence, as it has with Al-Jazeera, by crafting and joining more international organizations. Additionally, Qatar’s funnel-like economic outlets to the world face challenging geo-political realities in the future. These are long-term needs to address once more immediate issues are successfully mitigated. Qatar’s general isolationism has been beneficial during the past year, but it could prove to be detrimental in the coming months. Characteristics of perpetually prosperous city states are strong geographically proximate relationships and international involvement. Small city states must participate globally or risk being consumed by larger countries. Qatar must exert both hard and soft power with unrelenting momentum if it wishes to remain influential. Qatar has managed to place itself on the global back burner due to the sympathy it has garnered since the rift. Sanctions resulting in the closure of airways, as well as Al-Jazeera offices, the blockage of trade routes, and the forced repatriation of Qatari troops and students have all required Qatar to reroute its logistics through Iran, Oman, and India. By adjusting its port use, Qatar has dealt handily with travel disruptions. Its citizens and expats have been able to travel freely, and without delay, from city to city in the Gulf. The geography of the region has played a significant role in how the sanctions have manifested. Qatar’s comparatively small size impacts its security, economic performance, and ability to weather the restrictions. The border closure deprived Saudi of its industrial sector and agricultural imports from Qatar; yet Saudi’s stature and clout have allowed it to remain relatively unscathed. Absence of diplomatic mitigation among rift countries in the region has resulted in proxy fights in Asia, Africa, and in international capitals like Washington. The Horn of Africa is fast becoming a boxing ring for wealthy Gulf states. Qatar, Turkey, Saudi, and the UAE have all been increasing investments along the east African coast from Sudan to Somalia – thereby establishing diplomatic, military, and commercial ties between neighboring regions and constructing a complicated arena for conflict. As huge volumes of crude oil flow through the Suez Canal from the Gulf, a battle for broader geo-political influence is emerging. In April, Qatar unveiled a $4 billion-dollar plan to develop the Suakin port in Sudan – a country where, historically, the UAE has been the most involved. Somalia also faces risks of heightened conflict. Qatar, having previously been the most active country in Mogadishu, has aligned with Turkey to increase joint activity in the area. Saudi and the UAE’s recent involvement in the semi-autonomous regions of Puntland and Somaliland is creating a future minefield. The arrival of opposing Gulf investors could manifest in exacerbated friction between the two already estranged Somalian regions and complicate clan relations. Piracy is now emerging as a side effect. All the Gulf states, and Qatar specifically, have taken steps to cushion themselves against the economic impacts of the rift and to continue growing their revenue sources and global networks. This begs investigation of Qatar’s balance sheet. Ranked as the richest country per person in the world, Qatar has been forced to tap into its sovereign wealth fund to buttress its banking system, currency, and economy. Qatar has approached the rift this past year by redrawing its supply lines, cultivating domestic goods, crafting a $200 billion-dollar infrastructure plan, and forging long-term supply deals, relying on its status as the largest exporter of liquefied natural gas (LNG). Despite the conflict, Qatari banks have managed to maintain, or only slightly falter, in bank ratings on Standard and Poor’s scale. Qatar’s privately owned International Bank of Qatar is rated A2 in its bank deposit rating with a slightly better long-term counter party risk assessment rating of A1. Its publically traded Ahli Bank has identical scores. Accompanying these ratings, however, Moody’s argues an overall negative outlook, reflecting the financial opinion that Qatar’s banks are well maintained, but have been exhibiting weaker economic growth than in prior years. Additionally, Qatar has managed to raise $12 billion dollars in bond revenue over the past year, indicating that, despite the rift, international investors still have confidence in its future growth. Overall, the market is still open to Qatar and its future. Given this international economic acceptance, Qatar’s bond yield has increased and the spread has widened by 2%. The price of bonds has risen; however, so has Qatar’s high demand for them. The result is higher interest payments to investors due to their assumptions that Qatari credit has worsened and is, therefore, financially riskier. Granted, Qatar does not necessarily need international bonds. It has a large stockpile of reserves. But armed with intent of future usage, Qatar benefits from utilizing its reserves as little as possible in anticipation of the uncertainty of key issues in the region. Ultimately, the financial situation and the sustainability of Qatar’s reality is stabilized, but far from optimal. The central bank has allowed for deeply needed liquidity and the sovereign wealth fund reserves have granted Doha’s international credibility and legitimacy, allowing for bond generation. 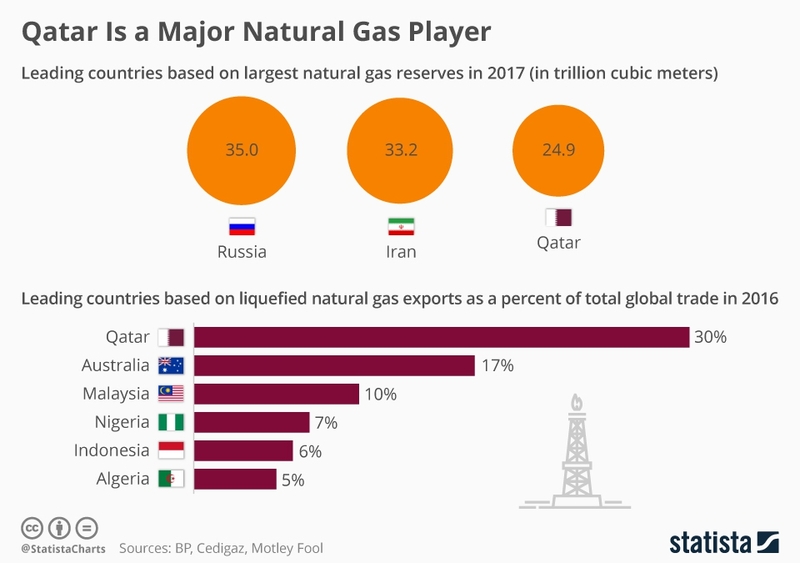 Qatar’s ongoing gas exports have helped mitigate the rift-imposed economic repercussions, enabling Qatar to avoid a major weakening of its economy. The UAE, Dubai, and specifically the Jebel Ali port have demonstrated less ability than Saudi in navigating the economic implications of the rift. This is due mostly to the sheer stature of Saudi’s economy, but, more importantly, to the port traffic between Jebel Ali and Qatar that deeply linked them before the rift. Economic damage has been felt the most in Dubai, but also in other emirates, due to the shift of logistical flow to Oman. Nevertheless, Abu Dhabi is in it for the long-haul, and with the establishment of the Saudi-UAE Cooperation Council, Qatar is being pushed further into a corner where its sustainability will be tested. Certainly, the economic opportunity cost has impacted Qatar the most. To Doha’s credit, the first year’s economic framework has managed to withstand the turmoil, thanks to reserves, exports, and international investment. Though Qatar has demonstrated aptitude in damage control, many solutions have been due to its fortuitous procurement of ample reserves and accepted passivity in its approach to regional and international crises. The sustainability of Qatar’s model, however, is still in question. Though it has demonstrated efficacy in situation mitigation, Doha has not demonstrated enough national growth. The continued success of a prospering city state requires strong regional relationships, a diverse economy, global participation, and demonstrations of well-utilized hard and soft power. Though Qatar has aptly navigated rift-generated issues of sanctions, geography, and economic shifts, it generates most of its export revenue from unilateral sources and cannot tap into its reserves for the duration of the conflict. The areas where Qatar is attempting to increase its involvement, like the Horn of Africa, show the potential for an increase in economic activity, but also for an increase in regional tension. Its bank ratings and economy have continued to garner international confidence as demonstrated by Qatar’s ability to acquire bonds; however, being granted a financially negative outlook demands that Qatar generate a greater optimistic international perspective if it wishes to continue receiving support. In order to maintain a generally positive global reputation, Qatar must increase its international involvement. The victim card can be played only for so long. States that have been initially, and still are, supportive always have the potential to change. Global political and economic shifts are historically guaranteed and impossible to fully anticipate. Qatar has demonstrated that it is capable of enacting effective problem-solving strategies, but it cannot continue to increase its global influence and secure an independent foundation unless it adopts the characteristics of a successful city state. More tactful handling of new financial endeavors, a diversification of its revenue generators, and greater international participation is not only recommended, but crucial, if Qatar expects to ensure growth and sustainability while under blockade.  Victoria Shakespeare is an intern at Gulf State Analytics (GSA). Dr. Theodore Karasik is a senior advisor and examines religious-political issues across the Middle East, North Africa and Eurasia.